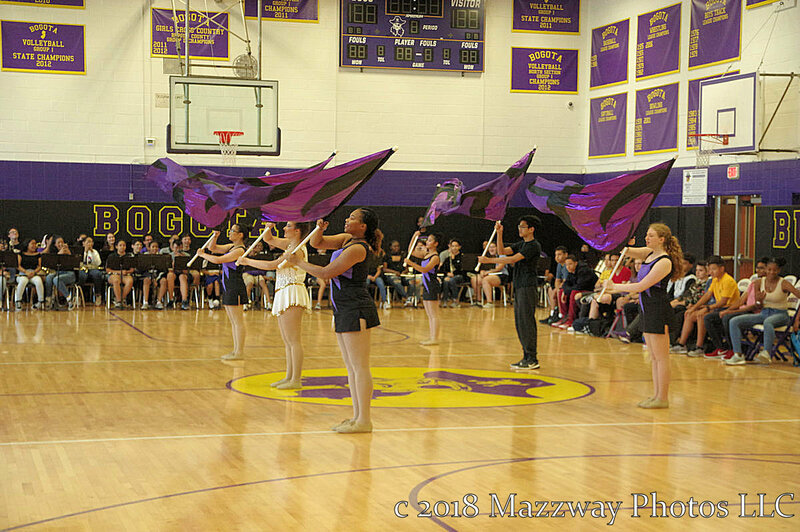 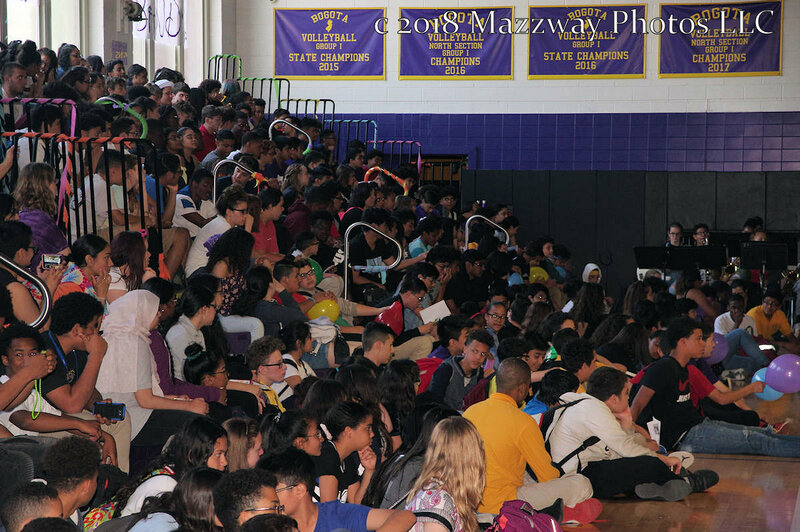 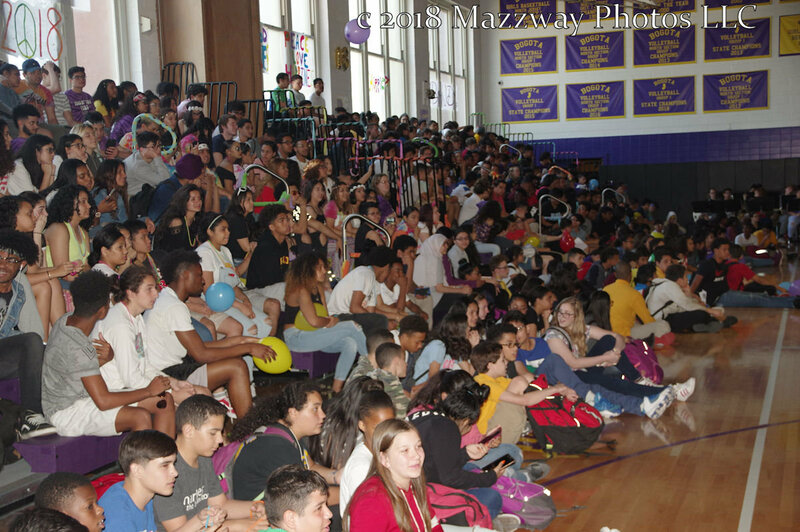 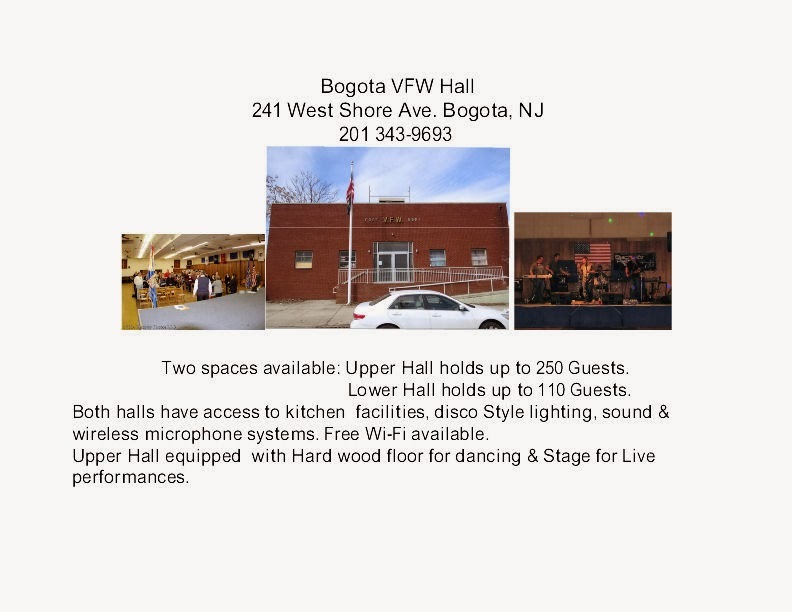 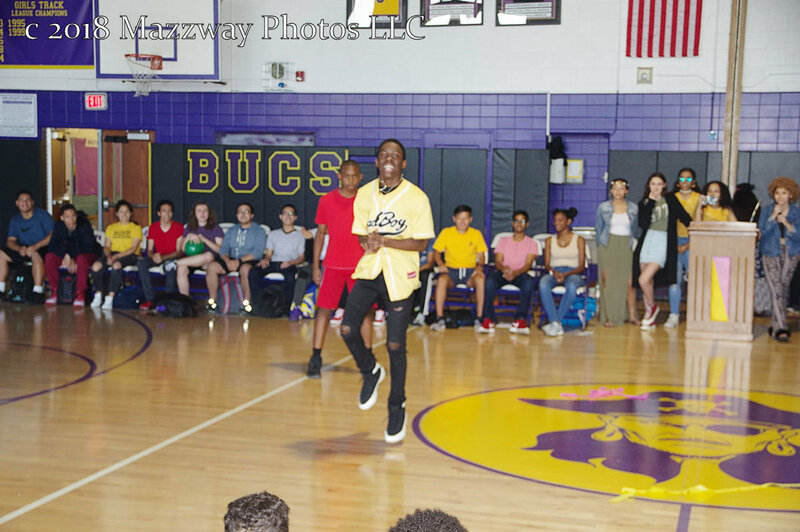 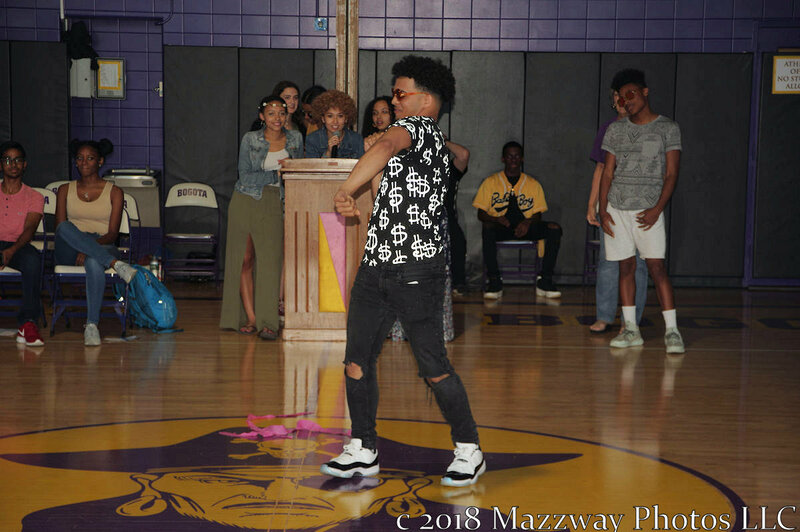 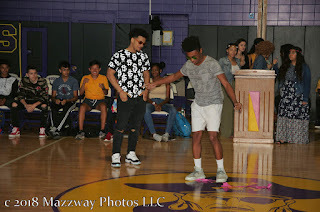 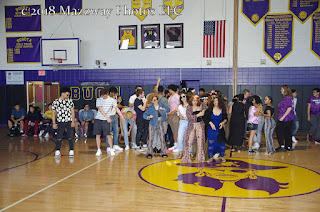 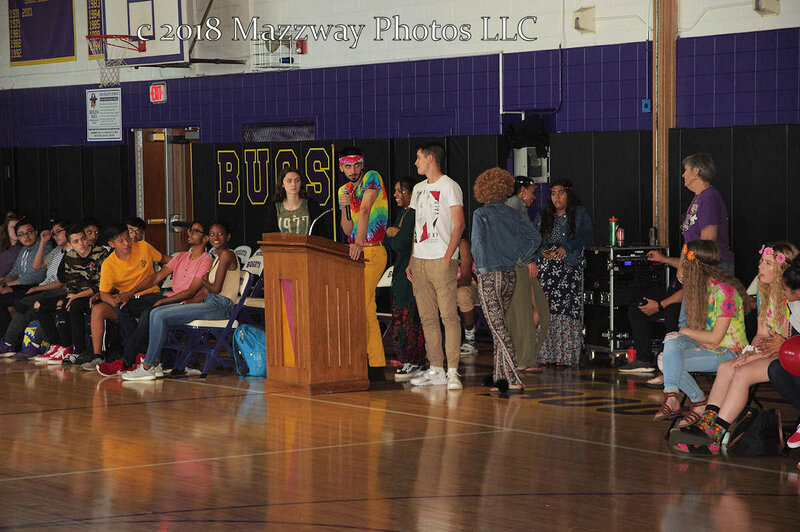 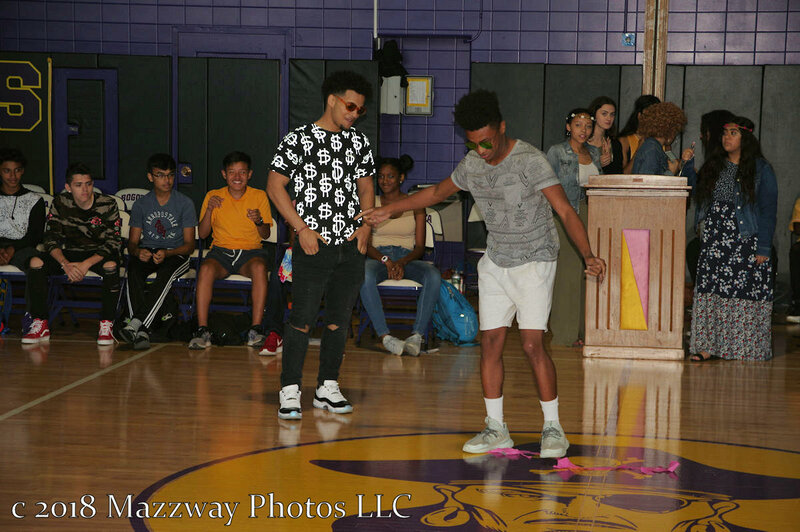 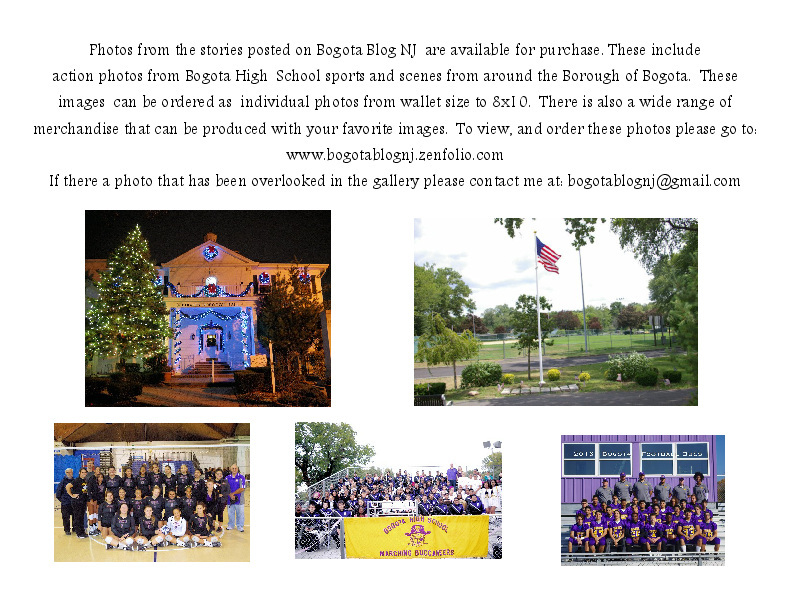 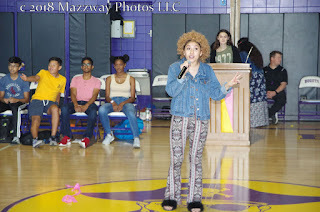 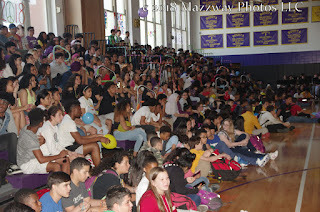 On Thursday-24-May the Bogota High School held their Spring Pep Rally for the Varsity Sports team for the 2018 spring season. 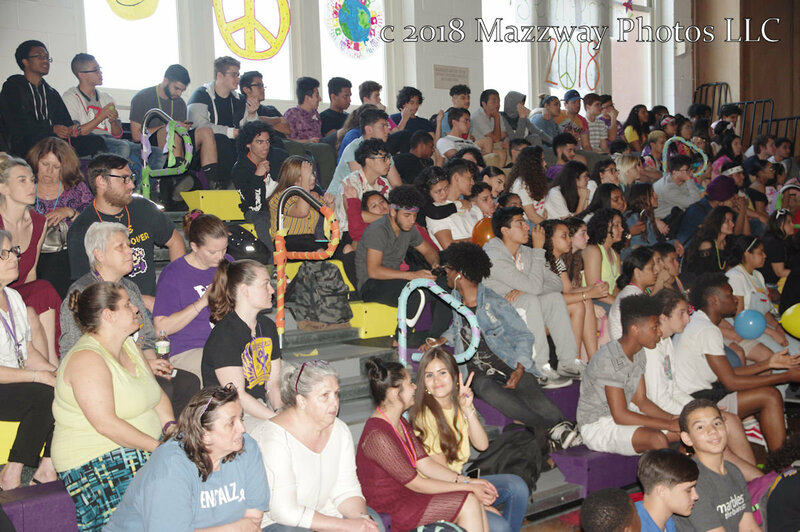 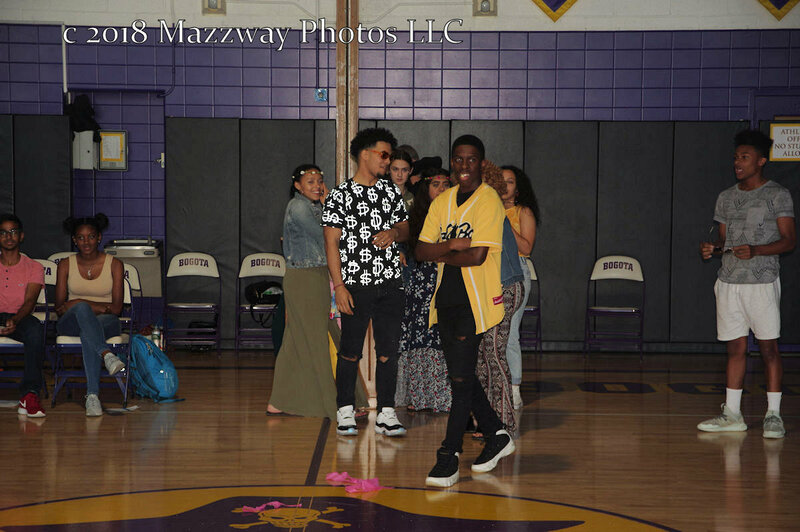 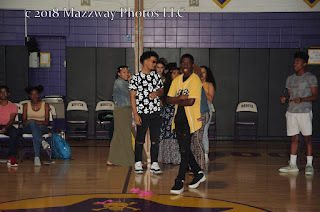 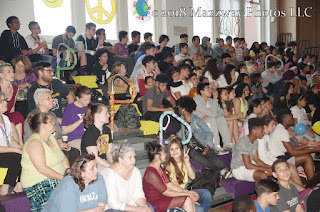 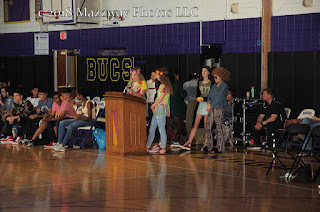 This year's theme was "Feeling The Vibe" with the Senior Class of 2018 ran onto the floor of Speary Gym in outfit reflecting the tie-die and hippie styles of the 1960's. 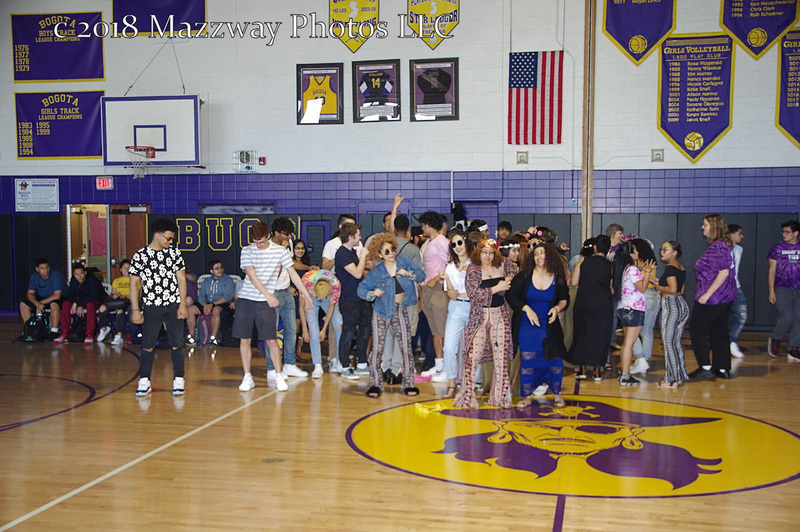 To start the afternoon event their was a dance-off won by the Sophomore Class. 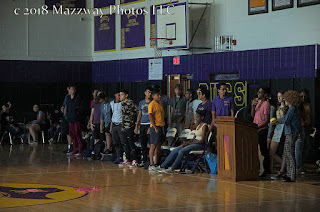 Next the Women's and Men's Track and Field Squads were introduced to the rest of the school. 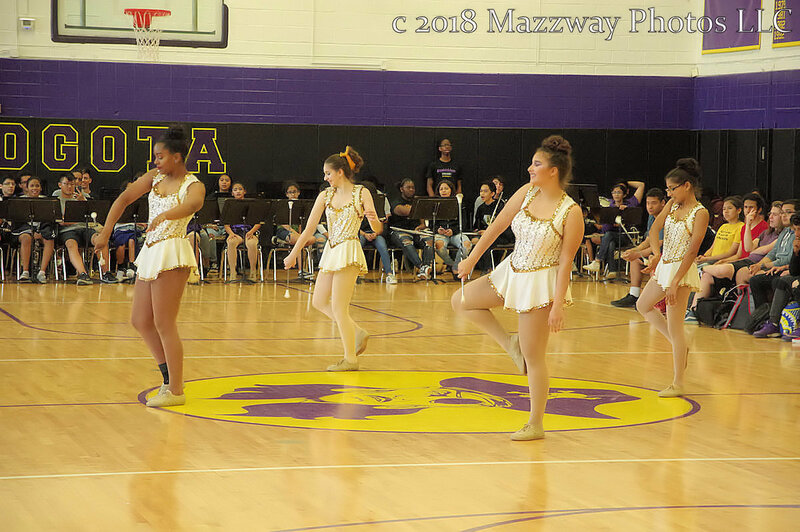 Between those team the Marching Buccaneer Band had a musical interlude. 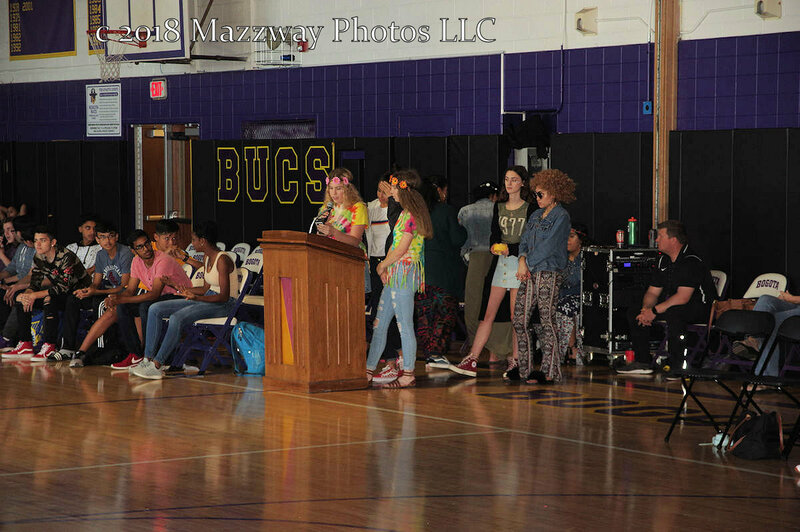 Then the Men's Baseball Bucs, followed by the Bogota Lady Bucs Softball teams acknowledge the players for this season. 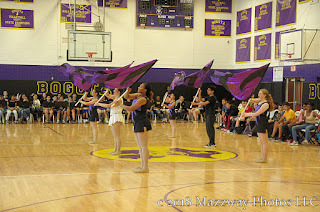 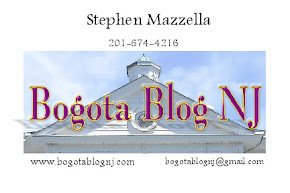 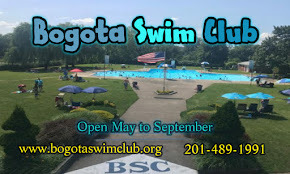 After all the teams were announced the Bogota Flag Squad. 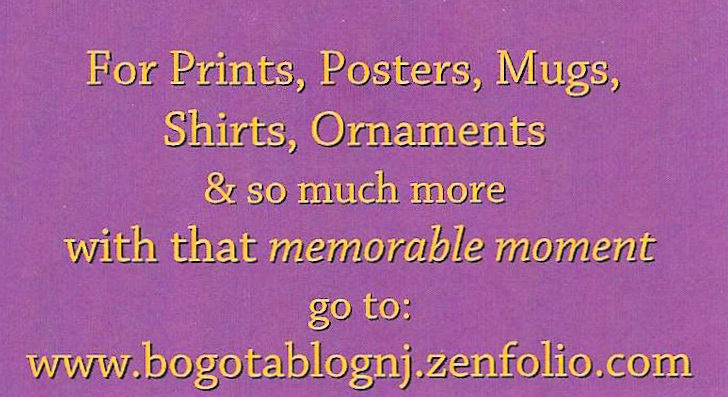 Then the Bogota Twirlers performed for audience.